The all-wheel-drive Porsche Cayenne was redesigned last year. Along with new exterior and interior styling, the Cayenne came with a sliding backseat, increased power and better mileage in all versions. A Cayenne S Hybrid is claimed to deliver the acceleration of a V-8 with the mileage of a V-6. Gas-only models include the base Cayenne, Cayenne S and Cayenne Turbo. The five-seat Cayenne competes with the Infiniti FX, BMW X5 and Land Rover Range Rover Sport. A newly optional Turbo power kit for the Cayenne Turbo boosts output to 540 horsepower and 553 pounds-feet of torque. The kit includes new turbochargers with titanium/aluminum turbines as well as ducts for additional brake cooling. The Cayenne Turbo also gets larger 16.53-inch ceramic-composite front brake discs. 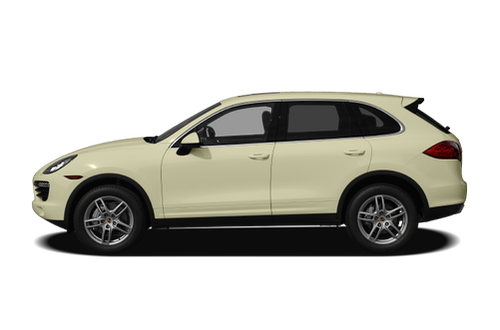 With the Cayenne&apos;s redesign, the interior was as extensively upgraded as the exterior. Rich materials, including convincing faux metals, replace surfaces that had been substandard since the model&apos;s debut. The crossover combines the previous version&apos;s signature center-mounted grab handles with a high center console that rises upward to meet the dashboard. The Cayenne S Hybrid combines acceleration comparable to that of the V-8-powered Cayenne S with the efficiency of a V-6, according to Porsche. It teams a 333-hp, supercharged 3.0-liter V-6 with two electric motors and a 288-volt battery pack for a combined 380 hp and 427 pounds-feet of torque. The 2012 Porsche Cayenne has not been tested. 2 years/unlimited miles after new-car limited warranty expires or from the date of sale if the new vehicle limited warranty has expired. Like what you see? 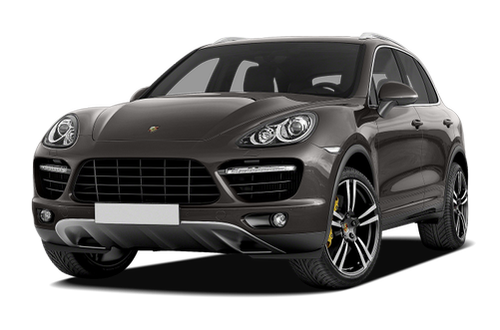 Find the best deal on a Porsche Cayenne today.